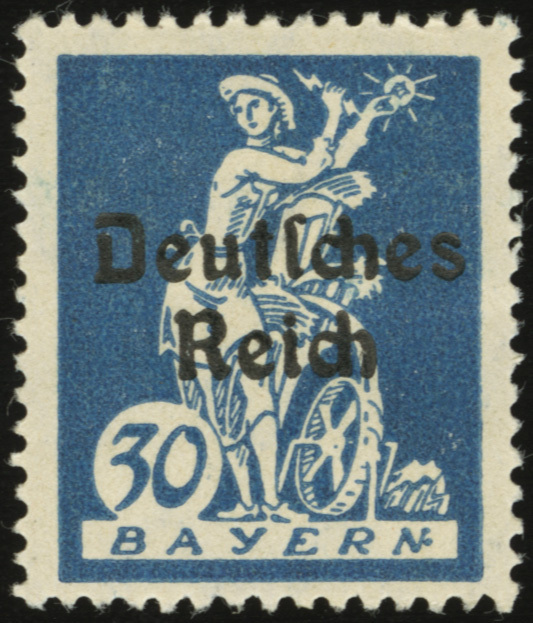 5-250 Tsd M Infla Overpr. 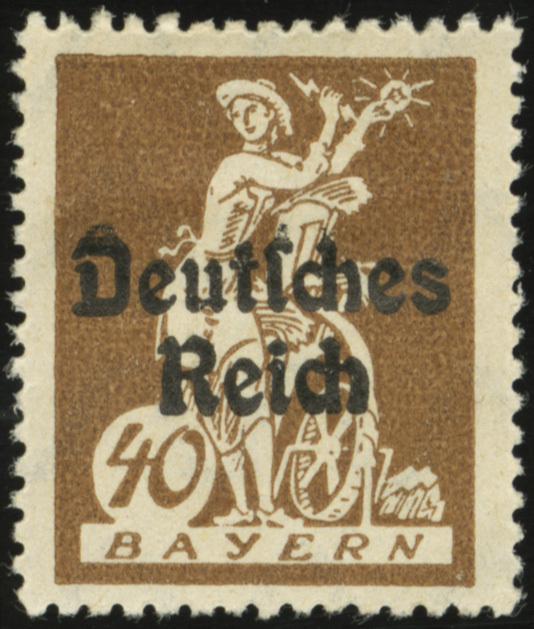 400 Tsd M Infla Overpr. 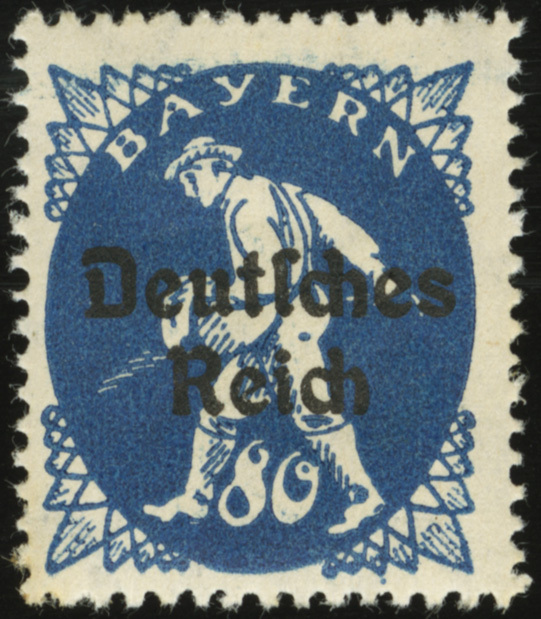 800 Tsd-2 Mio M Infla Overpr. 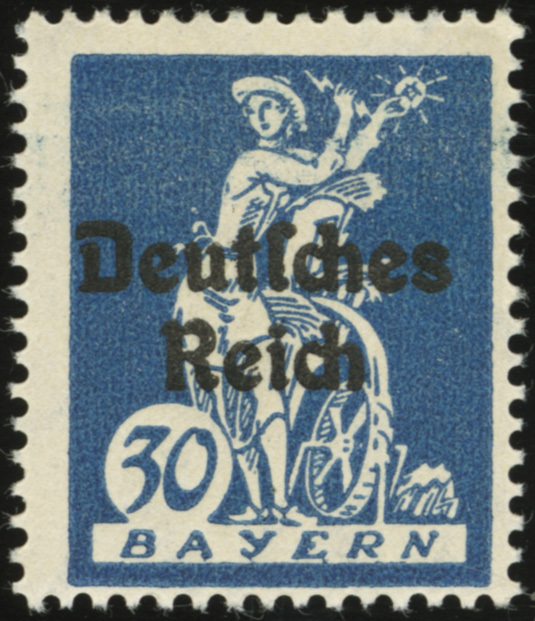 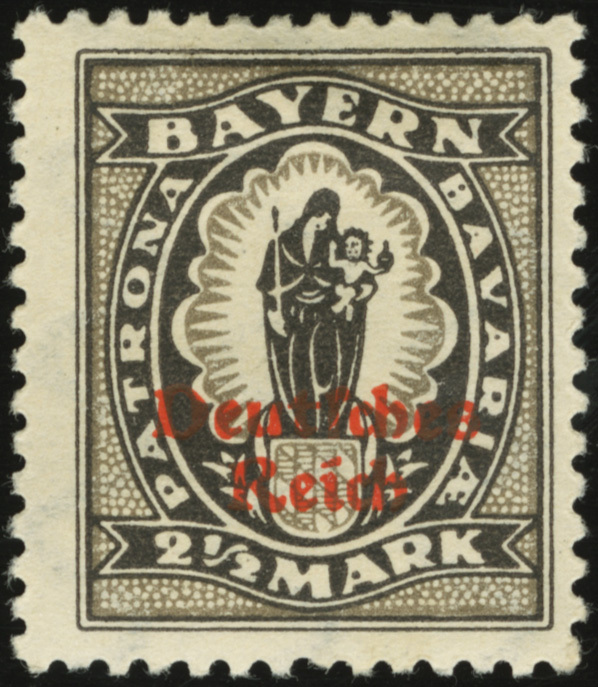 On 6 April 1920, Germany issued this set of overprints of the Bavarian “Farewell” series, the last set of stamps issued specifically for Bavaria. 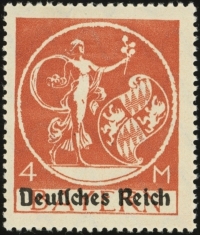 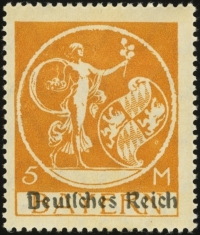 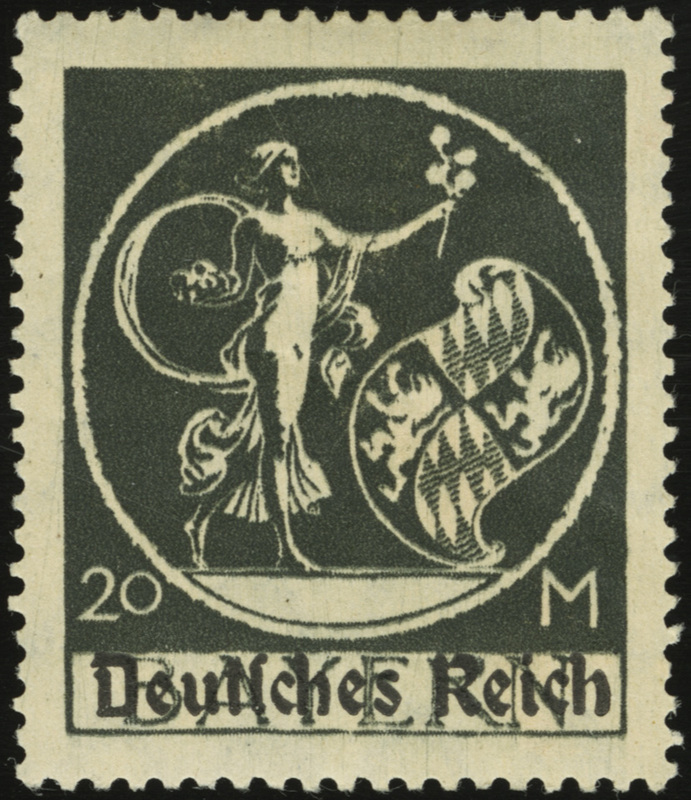 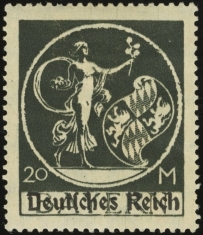 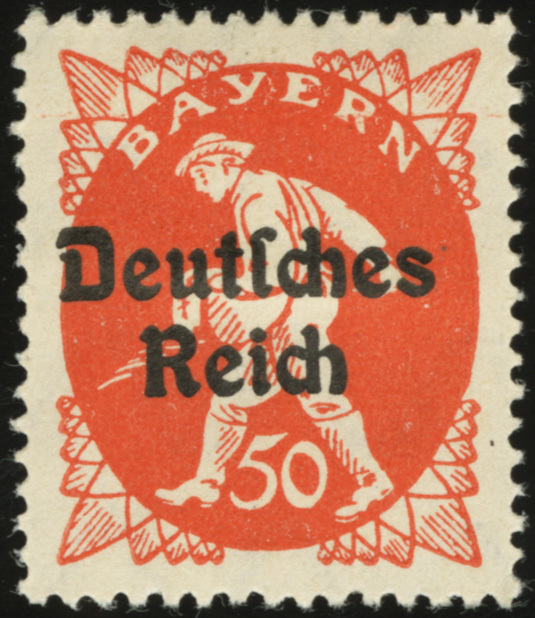 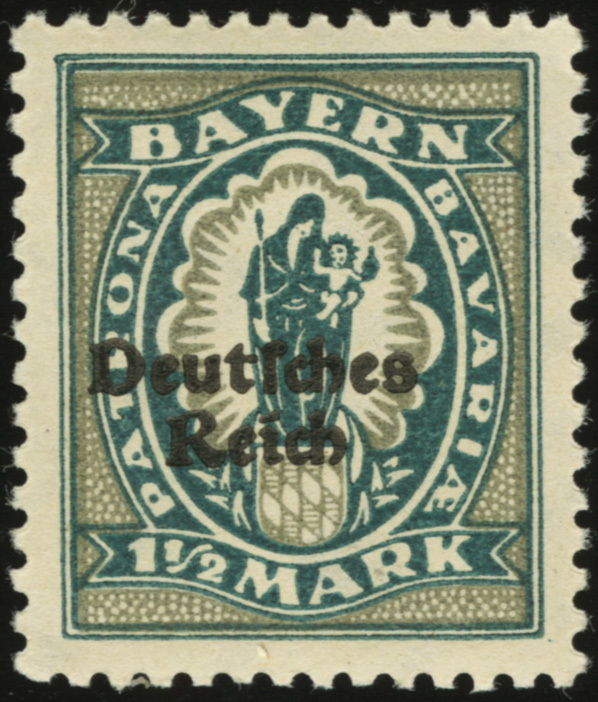 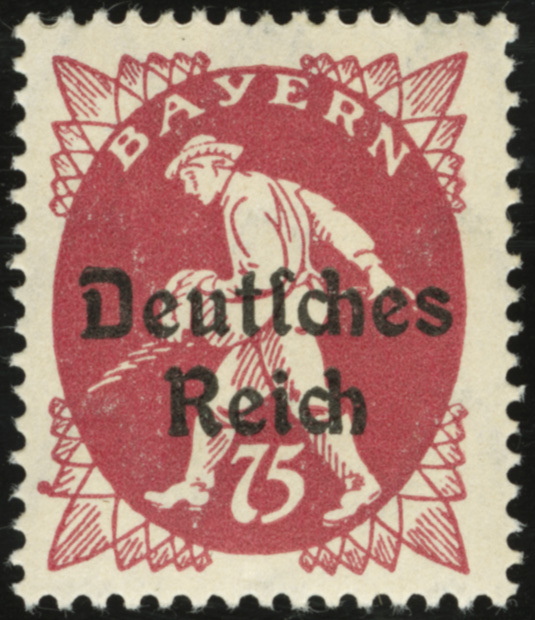 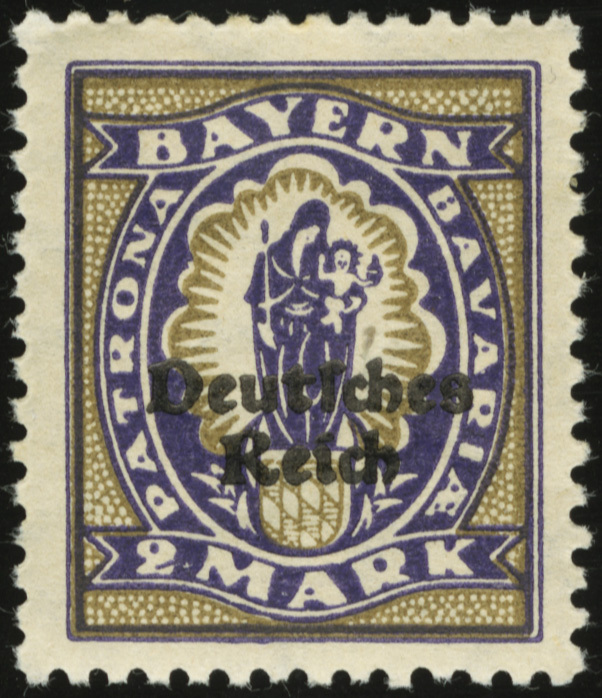 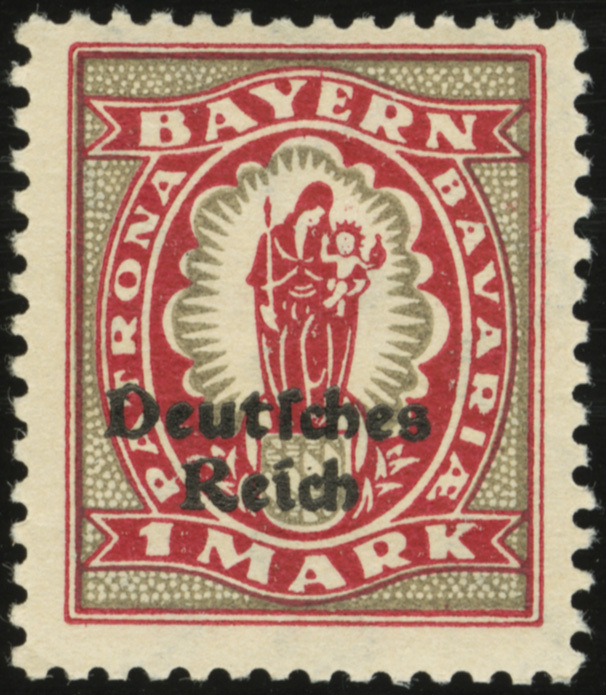 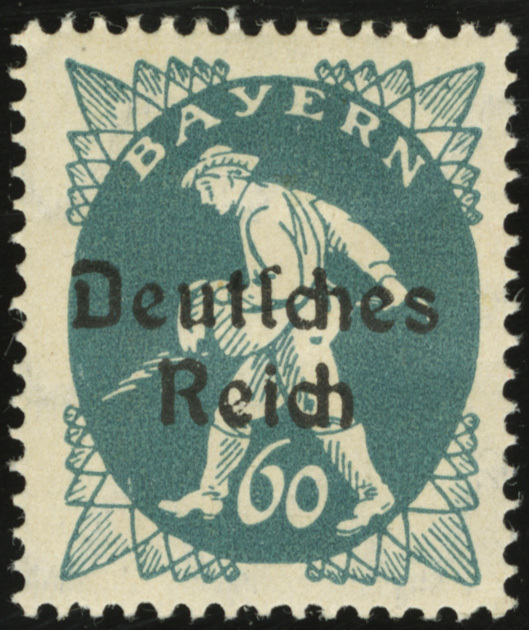 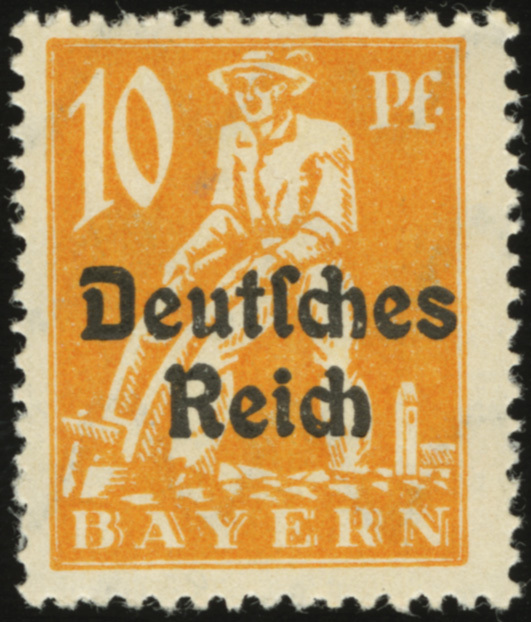 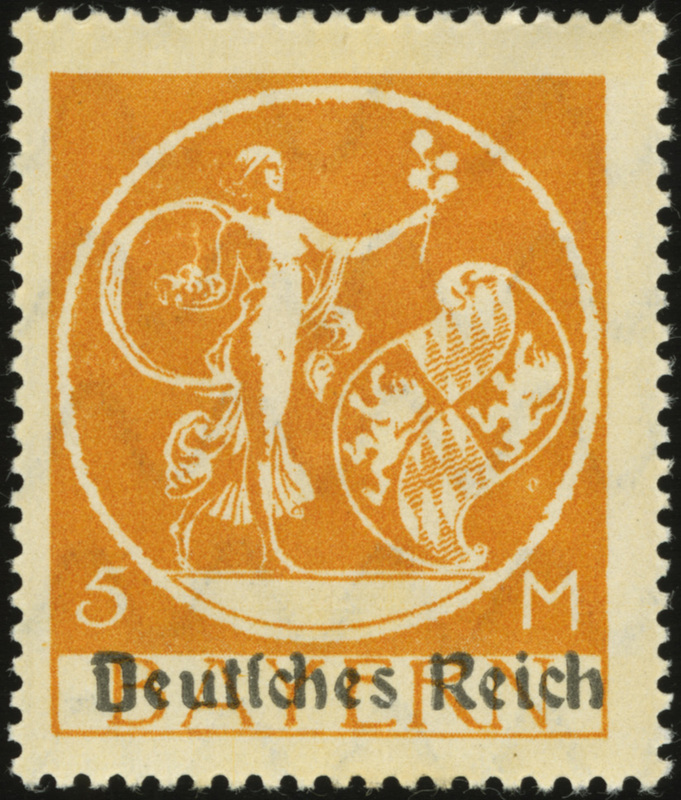 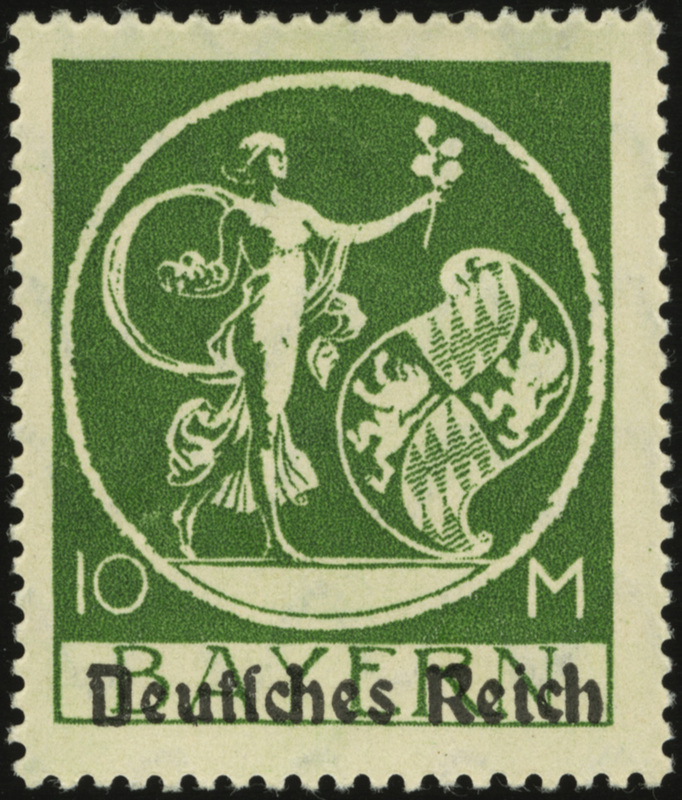 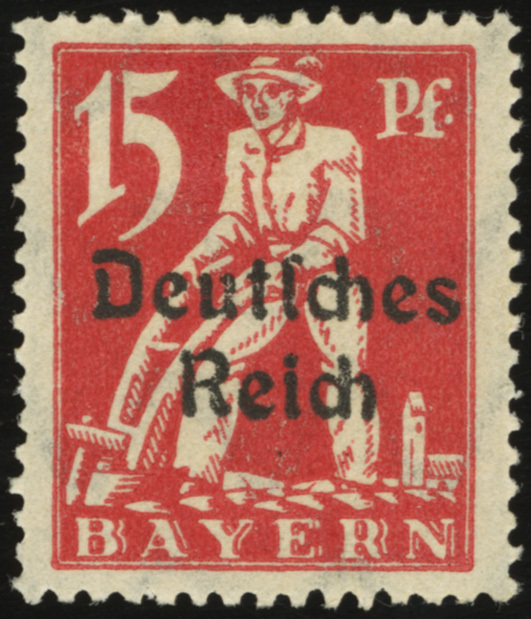 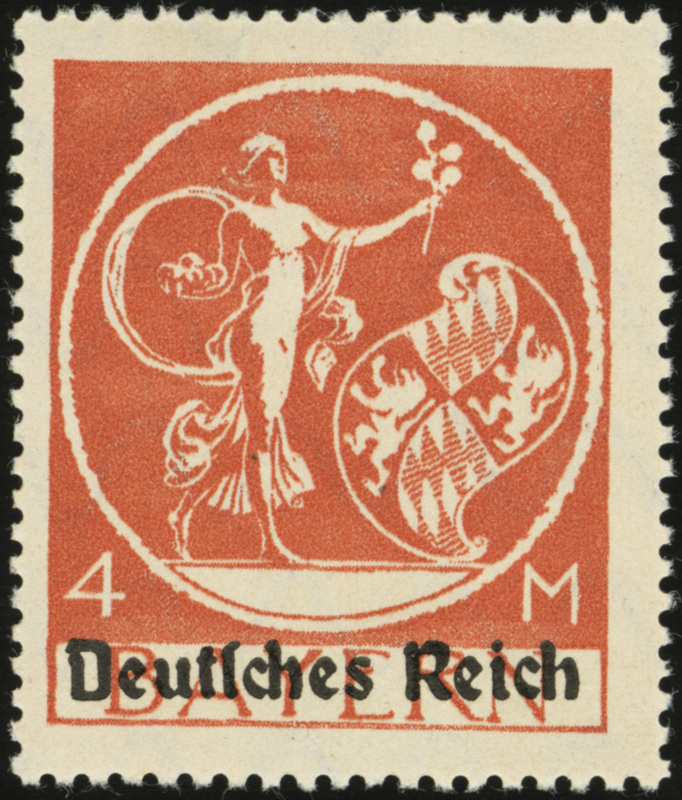 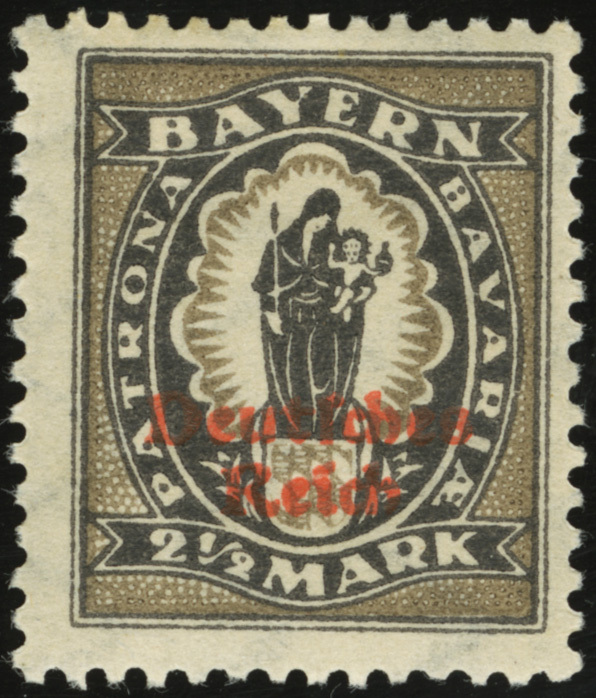 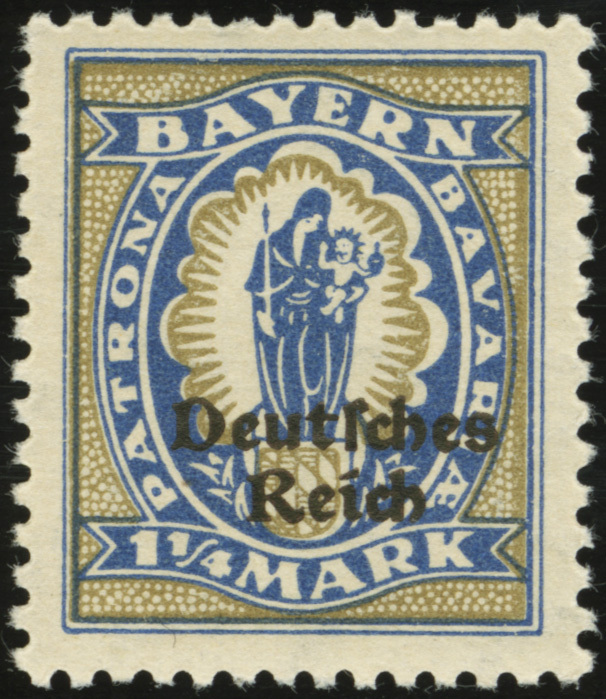 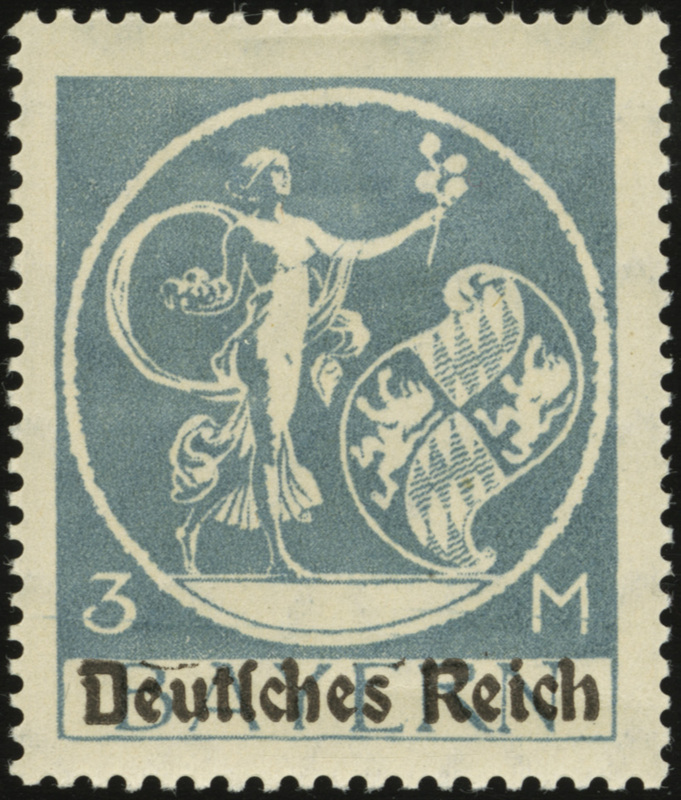 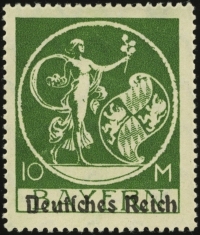 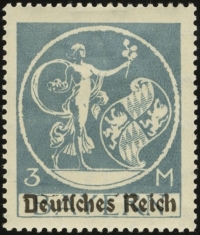 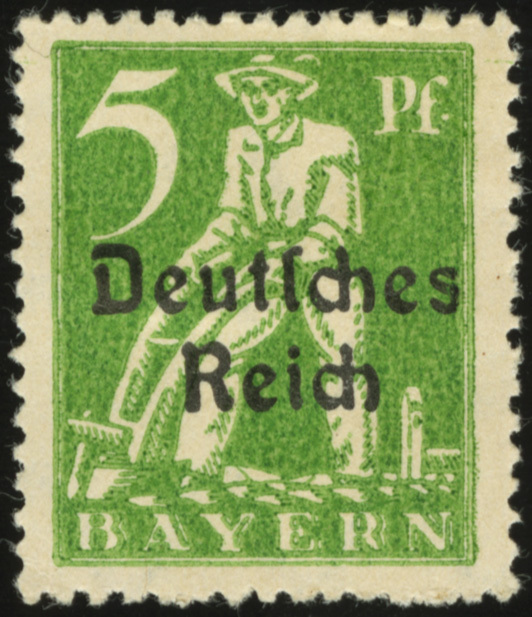 Three of the overprints (MiNr 128, 132, 135) are denominations not released as part of the Bavarian set (Bayern MiNr 178-195). 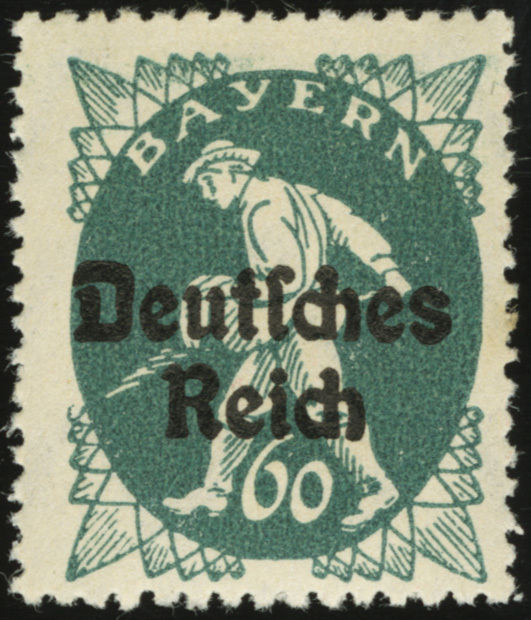 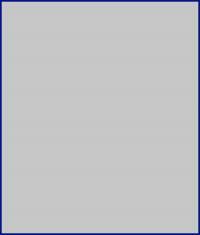 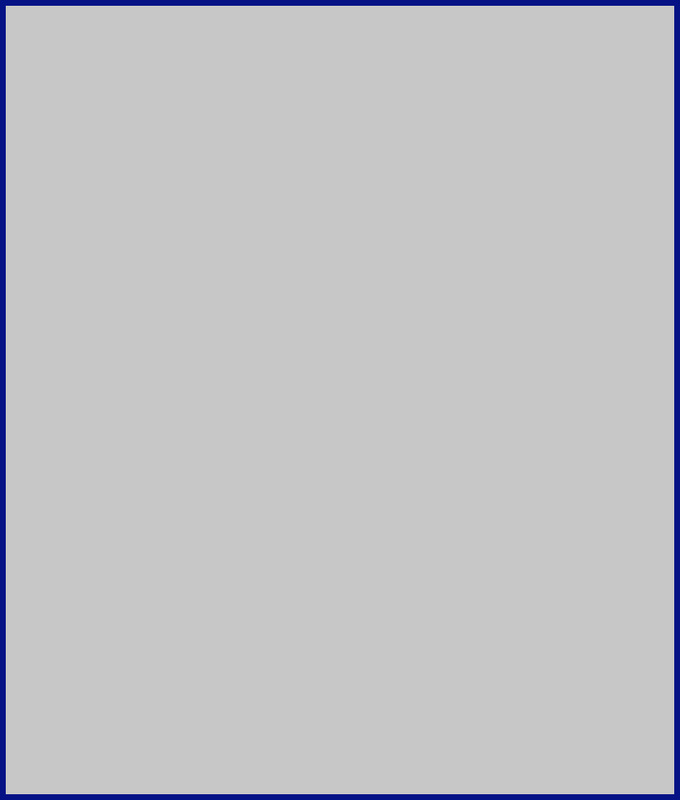 Two printing varieties exist for the larger denomination overprints. 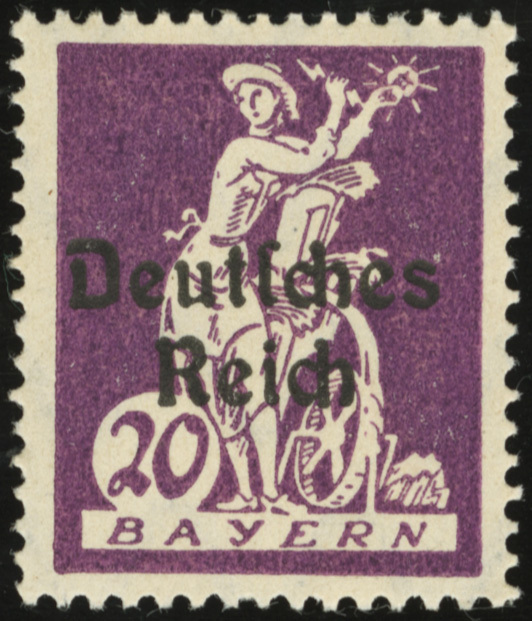 The stamps can be found with many plate flaws and overprint varieties/errors.